Are you bored of eating the same biscuits and cookies with tea? 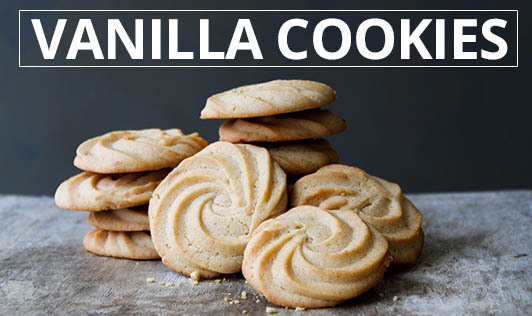 Here is a simple and easy to make recipe of soft cake like vanilla cookies with a frosting. You can make them in any desired shape and serve with tea or coffee. 1. Put salt in the maida. 2. Mix sugar and butter, add egg into it. 3. Add the mixture to maida. 4. Put vanilla essence into this and mix well. 5. Knead well with milk. 7. Roll the dough to 1/8 of its thickness. 8. Cut the cookies with a cookie cutter. 9. Bake in a pre- heated oven on a greased tray for 15-20 min.